As a centre we have always been lucky to have an incredible bunch of enthusiastic & dynamic staff. 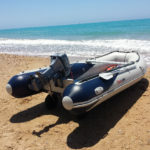 Each with a passion for water sports and a love for the outdoor life, enthusiastic, dedicated and above all friendly. Many of our staff return year after year for the summer season and have become part of the Sailing Scilly family. The sailing schools roots started with the islands sail loft based on Rat Island on the quay hence the name "Rat Crew". Once you have done a season here and become a member of "The Rat Crew", as they are known locally, it is rare not to return. The principal and owner of the centres. From Scilly originally he has been at the helm for over 18 years now. 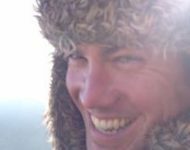 Richard is an RYA qualified instructor in all of the disciplines we offer, a keen sailor, windsurfing addict and member of the local Lifeboat crew he is never far from the water's edge. 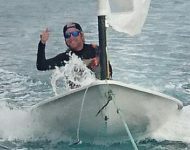 While the running of the centres had reduced his time on the water you will still regularly see him teaching sailing, windsurfing, power boating and generally trying to convince himself he is still as young as the other instructors! Amelia is dedicated to the beach scene and is the centre’s chief sunbathing instructor with experience from all over the globe. 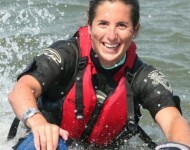 A keen windsurfer and sailor Amelia is a qualified sailing, powerboat & SUP instructor. After a few years away from the water in recent seasons, raising the next generation of water-loving instructors, and running our cafe, Amelia is back full time dealing with bookings, teaching SUP and keeping us all in line!! Cam has been hanging out at the centre since he was a nipper. 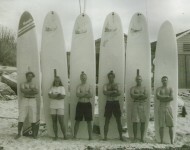 Born to one of the greatest Scillonian boating dynasties sea water is literally in his blood. His early career with us consisted of moving kayaks washing wetsuits and generally actually working while the other instructors were being too cool! Cam has been the main stay at the centre the last couple of years providing all that is required, safety cover, assiting with lessons etc. He is now a Powerboat instructor and will hopefully still do the other jobs we have all forgotten to do! Crew on both our lifeboat and Plymouths lifeboat when away at college he is dedicated to being afloat. Liam is our beach manager, and started with us in 2016. 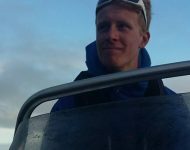 Liam is a senior dinghy instructor, powerboat instructor and our kayak leader. Liam has many seasons of experience under his belt both in the uk and abroad. Very involved in the Scout movement he loves leading groups and specifically our kayak tours. Instructor by day carpenter & builder by night. He hails from Manchester originally, despite this he is fluent in English and in charge of our European relations department. Luke's family are from the islands and so he has spent many summers and holidays here. He first joined us in 2016 as general assistant and maintenance staff. Luke set his sights on training up to become an instructor. 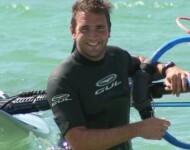 2 years on he is back fully qualified to teach windsurfing and sailing, with a season in the med under his belt. His dedication to become an instructor really shows and he is a real asset to us. Eccles is from the North. Dragged here kicking and screaming by childhood friend Liam he has fallen into island life well. Eccles brings a wealth of sailing instruction experience from countless seasons at PGL in Spain and France. High energy and full of tricks he is our god of large groups, sail camps and splash squad and undoubtedly the king of trenches! Mystic May abandoned her parents SUP centre in Devon and escaped to Scilly for the sumer. May is a BSUPA instructor and operates our Porthcressa "Board Scilly" site. Always smiling and keen to paddle! 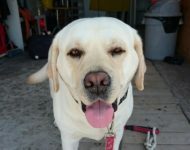 Head of security, picnic quality control and always ready to greet every one with wagging tail. His primary role is to be stroked and adored by all that walk in, he will reciprocate the love! She has been part of the crew since.....birth! Now a keen dinghy sailor and learning the ropes fast, loves helping mummy with the retail side of the business. Matilda is a desperate to get all playing volley ball daily!! Ever ready to lend a hand and show the other staff any errors they may be about to make. 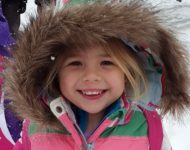 Loves kayaking, supping and being afloat in the ribs, doing deliveries, water taxis and assisting daddy and the other instructors. Bewarned she is also a mean volleyball player! Dan joined us this year from Dorset and has spent many seasons instructing in Spain, USA, Devon and Cornwall. Cool, calm and collected nothing phases our Dan and he just loves to teach. Recently qualified as an instructor and a avid laser racer. 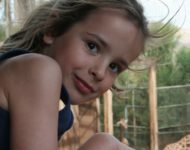 Iona has holidayed on St. Martins since a very young age and had many lessons at our Tresco base and joins us this season for her first year working as an instructor.